We will use the same concept, just in a more scalable way. The key here is to have an unbiased decision making process when focusing your time, effort and money into finding your core growth channels. Putting your trust into a scientific growth experiment allows you to follow the data rather than your gut (don't get me wrong, your gut is very intuitive, but it won't be able to consistently tell you whether your multivariate-tests-of-the-future will work). It will ultimately help you make the most informed decisions you can in un-earthing the growth for your business. There are a few ways (or anagrams) you can follow for your experiments, however, one that has worked for me is the G.R.O.W.S process, coined by the Growth Tribe out of Amsterdam. Let's dive in to each stage. Creating a company-wide spreadsheet for ideas that popup anytime is great way to start. 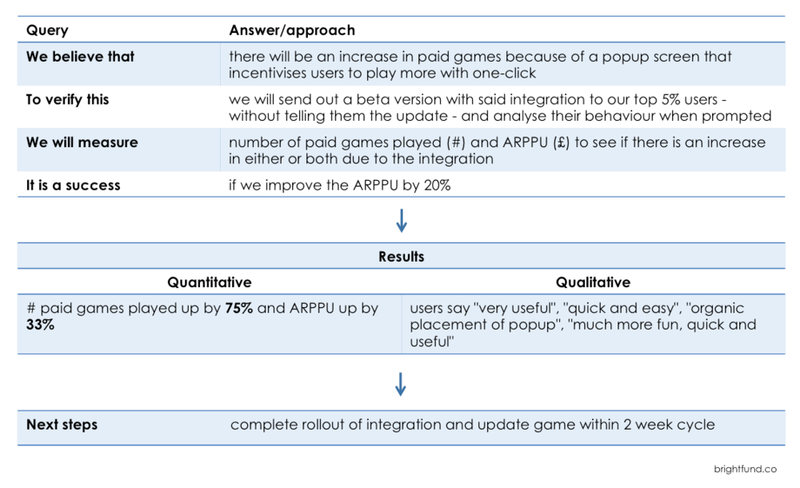 How I organised our growth backlog is by using the conversion funnel (or pirate metrics) as a guide, going from awareness, acquisition, activation, retention, revenue and referral. You can take things further by setting up formal brainstorming sessions with the whole company or multiple teams depending on size of co. To get the most out of these sessions, it's best to learn how to brainstorm like a Googler. What I like about this system is the semi-scientific approach. Good tip is to make any decision a quant one. The image above shows a mixed variety, meaning ideas from different stages of the conversion funnel. It's actually best is to focus on one stage every time. Now that you have one highest ranked idea, you can start experimenting. Key here is to design a test that will verify whether the specific idea/channel/approach will be a success or failure. Best way to go about this is to build out an experiment sheet. Results Qualitative: users say "very useful", "quick and easy", "organic placement of popup", "much more fun, quick and useful"
This the area that separates the men and women from the boys and girls. You can do a number of things to maximise the effectiveness of your work and experiment, however for me, weekly sprints worked best. They really allow you to laser focus on one goal (the experiment) and truly smash it out the park. No excuses. This is where the insights kick in and you make your growth decisions. This is where the test is verified as either a success or failure. If you get the analysis wrong, you make the wrong decisions. Therefore you could jeopardise your whole growth model. Which could mean the end of your business, depending on its stage of life. No pressure. 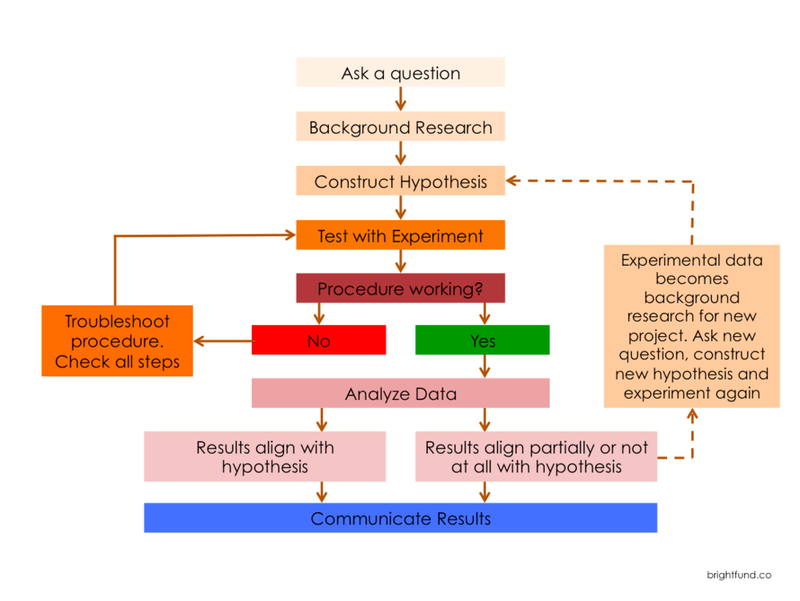 Make sure you understand, record and analyse both quantitative and qualitative data for every experiment. Understanding how the users reacted and felt, matter as much as the data behind their behaviour. Try to find any differences in user behaviour from before, and ask yourself why this has (or has not) occurred. Does it fit with your original hypothesis? Is this healthy, scalable behaviour? From all of the data you have acquired and consumed you can now conclude success or failure. And depending on answer, either use the data for further background research in future projects, or use to rollout the experiment company-wide. Key tools I used were Fabric.io (for real-time acquisition metrics), Amplitude (for retention, segmenting, behavioural cohorting, data visualisation and Metabase (for all data retrieval and querying). Even if your first seven experiments fail, you can use the data acquired as more background research for the next seven. This iterating experimentation process theoretically means the more experiments you run the higher value they become (so by experiment 1,273 you'll be pooping gold). Remember, rinse and repeat until you find that one core channel that really grows your business. The one that hits the sweet spot. When you do, ride that channel as long as you can, dig deep, iterate and squeeze as much growth as you can out of it until it's fully saturated. You can find my other musings here, here and here.